Our new range of own brand products, Silkies, Inkadinks, Pearly Paints, Mica Powders, Ultra Thick Embossing Powders, Gels and Glazes, and our ever increasing range of art stamps. The constant stream of compliments from our satisfied customers. We are also very proud of the fact that all Imagination products are designed and manufactured in the UK and all our rubber stamps are drawn and produced by UK artists. What is unique about Imagination Crafts? Products that work (they do what it says on the tin!) and fast efficient friendly service. Being one of the longest established, if not the longest established craft companies in th UK. Having a large following of loyal customers throughout Europe. Do you run classes, demos or open days or attend shows? We attend all the major shows thoughout the country, where we always have a demo and we are willing to answer any questions and help our customers with any queries they may have. Telephone 01935 813 664 (we are always willing to take orders over the phone for those who prefer not to use the Internet). Only a week to go!!!! Oly one week now until the closing date for our STAMPER OF THE YEAR COMPETITION 2010 (22nd October to be exact)!!! Don't miss out on your chance to win our bumper selection of prizes - get your entries in now! To enter you need to create two stamped items and can enter either by post or online - full details can be found here on our website. We look forward to receiving your entries and GOOD LUCK! 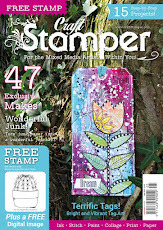 This week we take a look at The Altered Element, who are sponsoring are Altered Art/Mixed Media category in the Stamper of the Year competition with a bumper box of delights! I chatted to owner Lynne Burton about her rather unique shop, which caters for everything from jewellery making to textile work - as well of course as having a wealth of products for stampers and mixed media artists. The Altered Element has been established since Nov 2007 and this web-based shop is definitely worth a visit if you are looking for something a little bit unusual to use in your crafting. We specialise in supplying a diverse range of essential and hard-to-find items for mixed media, creative textiles, altered art, jewellery making, textile figure making and paper crafts. We wanted to be able to supply a real mixture of items for crafters and artisans who enjoy exploring various media within a single project or as separate art forms. In their own right, mixed media and creative textiles as art forms are well established, but an interest in combining various materials and techniques in other crafts to produce exciting new effects has been growing. We’re pleased to be able to facilitate unlimited creativity many types of crafting by offering a diverse range of supplies, which is ever-developing in response to our customer’s needs and ideas. In addition, we’re proud of our customer service and real time stock control system, which ensures satisfaction and security in shopping on our website. Our greatest achievement is ongoing with being able to help develop the creativity of our growing number of UK and international customers. Do you run classes, crops, demos or open days or attend shows? We currently attend Artisan and hope to add more national shows to our schedule in the future so we can meet and talk to more of our customers face to face. We’re currently working on a workshop itinery which will be advertised on our website and blog in the near future. Yesterday we talked to Glenda about her business life, but today we get more personal and find out some fascinating insights into the brains behind Elusive Images and Graphicus. I was born and raised in and around Carlisle and the Lake District. Although my first degree is in Business, IT and German (there's a mixture for you!) I have always been creative and have drawn, painted and crafted in one form or another from an early age. Over the years, I've been a keen knitter and an occasional embroideress, as well as being a silk-painter and even a glass-painter for a while, before falling in love with print-making and rubber stamping. I have also studied traditional bookbinding and hold a Diploma in Art and Design. You would not believe the list of jobs that I've had since leaving school or the number of times that I've moved house! Adrian was born and bred in County Durham in the north-east of England. He has a degree and a PhD in Computing Science (what a swot!) but his creative talents actually lie in the musical direction, rather than the visual arts, and he plays piano and guitar as well as singing. We met while working for the same computer company in the mid 1990's, but that's a whole other story. Although Adrian has been involved in Graphicus and Elusive Images from day one, he finally gave up his normal "day job" four or five years ago and joined the Graphicus office full-time. He can now usually be found sorting out technical problems on computers or other machinery, poring over the accounts or filling in endless reams of official paperwork. Strangely, he often seems to like it. When did you first realise you had an interest in arts and crafts? My interest in arts and crafts really did start at my mother's (and grandmother's) knee. In fact, most of my extended family are artistic in one way or another, so the interest in all things arty and crafty is probably genetic and could never be avoided. Whether it was embroidery, weaving, fine art, illustration, silk-painting, knitting or just colouring things in, I have always been surrounded by something creative and have been inspired to draw, paint and craft in some shape or form from childhood onwards. 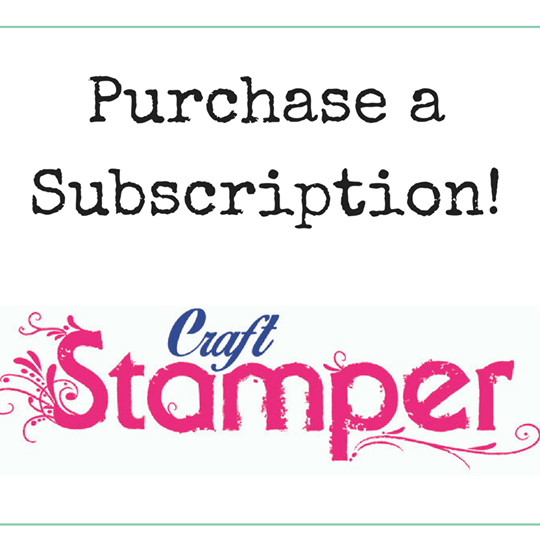 Describe the path which led you to become a craft retailer/manufacturer. I also knew from a relatively early age that I wanted to run my own business one day, but that I wasn't ready at the time. However, when the right time came along, becoming a craft retailer and manufacturer was the most natural thing in the world – inspirational, enjoyable, nice customers, constantly surrounded by pretty artwork and creativity, what's not to like? It really was option number one on a short list of one as far as I was concerned and I have never looked back. What do you like best about running your own business? What do you like least? The best part of running your own business is the element of freedom – particularly creative freedom in the case of an art or craft business. You have to be prepared to have broad shoulders or a thick skin at times – the buck really does stop at your desk and you stand or fall by your own efforts – but it's worth it for that freedom. The worst part of running your own business is the paperwork – particularly any long-winded official paperwork that eats into your valuable art and crafting time. You'd also better not be scared of hard work – it's an old saying that you'll end up working far harder for yourself that you ever had to for anyone else and I've yet to meet any business owner who hasn't found that to be completely true. What areas of craft interest you? Do you enjoy creating and if so what are your favourite techniques to use? I love stamping and print-making in all its forms. Seeing a lovely, crisp image appear from under a stamp or printing block is always satisfying. I also enjoy bookbinding – both traditional and more modern, art-book forms. There's a real sense of creative fulfilment in taking some sheets of paper and turning them into your own book, made by your own hand. It gets even better when you are going to use the book as your own journal and you go on to embellish and colour it with stamps, inks and paint. Alongside stamping, my favourite art and crafting techniques are all associated with colour. I love colouring in an image with inks, paints, coloured pencils or markers – especially my Copics, I adore using them. I also love doing all kinds of coloured backgrounds and background designs using direct to paper techniques. Which product(s) are your personal favourites and why? Well, I love Elusive Images stamps and Artylicious papers, but that's not surprising since they're bound to reflect my own taste and inspiration. In terms of other products, I like working with Stampbord – it's such a great surface for stamping and it takes colour so well – and I've already said that I love my Copic markers – they're great for colouring almost anything. What aspects of teaching do you enjoy? What kind of things do you like to teach? When teaching, I love to see people developing their own creativity – sort of coming out of their artistic shell. It's such a great feeling helping someone to realise their creative potential – particularly if they are unsure of themselves or not confident in the beginning. I also like teaching more complex and advanced techniques and helping people push their creative boundaries a little. It can be good to take someone a little outside their comfort zone, for example doing mixed media pieces where you're crossing that vague line between what people think of as craft and what they think of as art. I've always said that pretty much everyone has some creative ability just waiting to be released. Over the last ten years, I've seen proof of that time and time again and I love it! What are your achievements both personally and professionally? That's a hard question – I feel like there are so many things I could say! Of course, there's the degree and the diploma and all the academic sort of stuff, but I guess that some of the achievements I'm most proud of at the moment are the ones associated with Graphicus itself. We've managed to put together a fantastic team in the office and they're a great bunch of people to work with. Our regular customers are also lovely people and it's really satisfying seeing them and chatting to them at workshops and open days. Building and running a company with that kind of friendship and loyalty – both from the staff and from our customers – is an achievement to be proud of. Thank you to Glenda for sharing that with us. 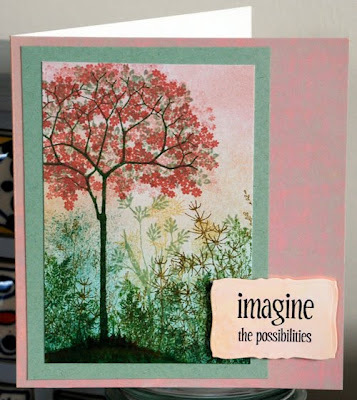 Do visit her beautiful blog at: http://glendawaterworth.com/ - it's packed with inspiration and beautiful stamped creations.